Last weekend in January already?! Time flies when you're having fun and keeping busy! We have another fun filled weekend once again. Remember, some of these activities may require registration. Always check with the organizations for the most updated information or if you have any questions. We appreciate the shares and likes. If we're missing something, let us know! Compiling this information takes work, please credit or link back to Corpus Christi Fun for Kids when sharing. Live music, lawn games and of course food trucks. Slowly, Slowly, Slowly,” Said the Sloth by Eric Carle comes to life for you and your young learner. These 30 minute, monthly programs combine reading and wildlife as a way to build early language skills, peak curiosity for nature and support ‘family learning time’ in a safe and exciting environment. 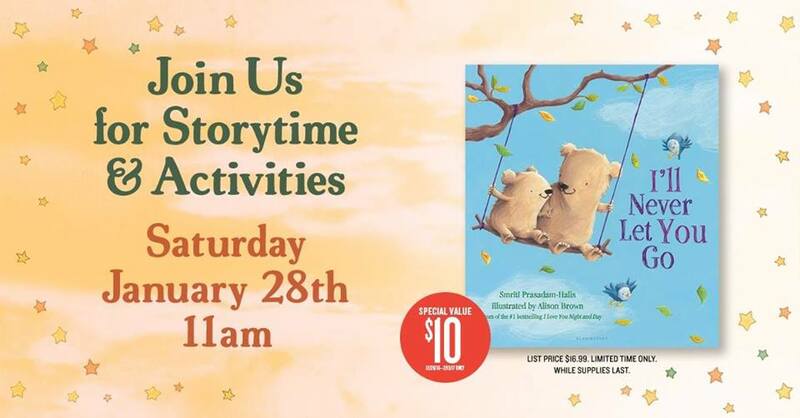 After listening and participating along with the storyteller, parents and children will meet an animal from the story and receive a copy of the storybook to take home. This program takes place in the Learning Center on the 2nd floor of the Texas State Aquarium. Cost: Member Price: $15 for each child/adult pair. One additional child per adult $5. 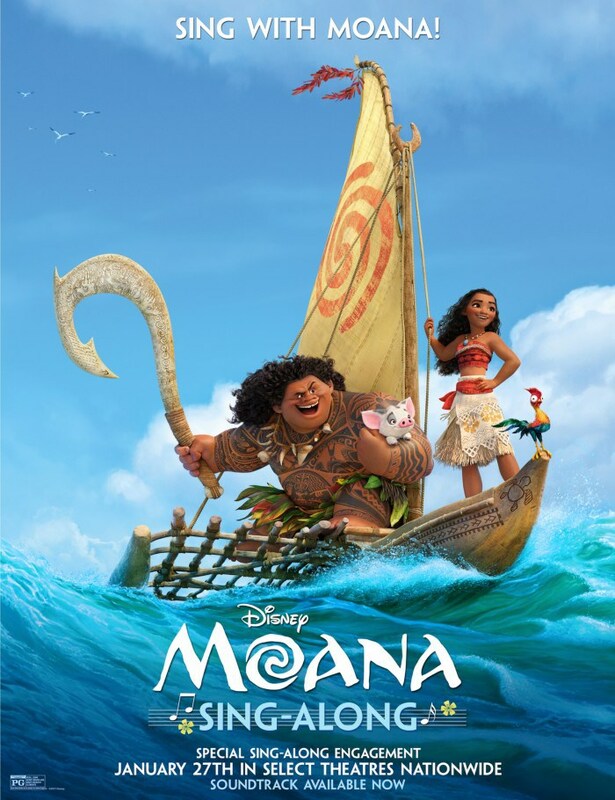 Non-Member Price: $15 for each child/pair plus Aquarium admission. One additional child per adult $5, plus admission. Current admission prices Adult (13 & Up) $24.95, Senior (65 & Up) Military or Student $21.95, Child (3-12) $17.95, 2 and Under Free Call 361-881-1204 for advanced reservations, or pay day of program at ticket gate. Celebrate J.R.R. Tolkien's 125th birthday every weekend in January by watching your favorite Tolkien movie. You can bring your own snacks, drinks and cushions too. 10 a.m. The Lord of the Rings: The Return of the King Towers (PG-13). Children under 13 must be accompanied by parent at all times. When you love someone, you stand by them no matter what happens. In the story I'll Never Let You Go, we celebrate the beauty of unconditional love. 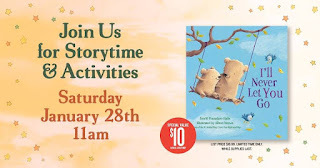 Join us for Storytime and activities. 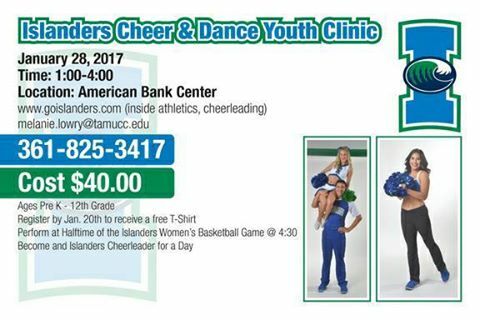 Participants will learn from Islanders cheer and dance team members and perform a routine during the Islanders Women's Basketball game after the clinic. During the game, clinic participants will sit behind the cheerleaders and dancers on the court. Cost: Registration is $40.00 and covers the child's ticket to the following game. 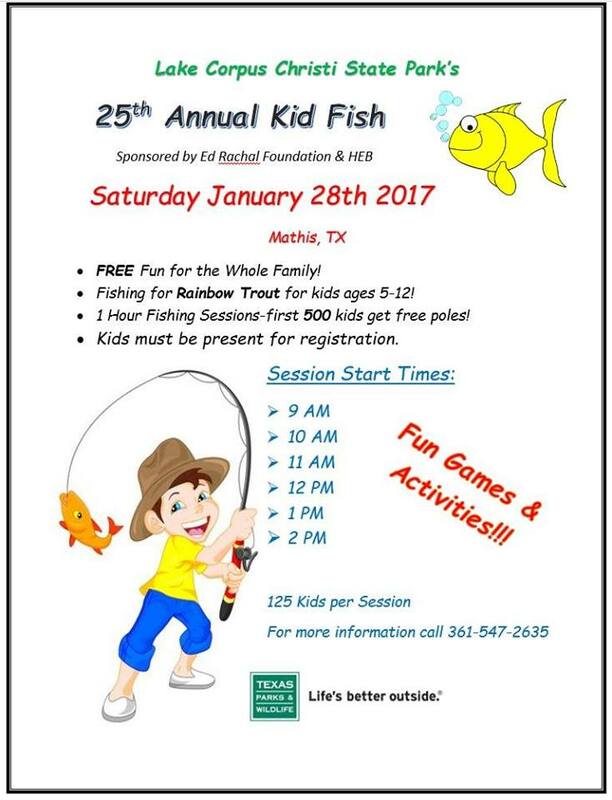 Parents of participants can purchase an $8 reserved ticket or a $4 general admission ticket by calling 361-825-BALL (2255) prior to Jan. 27. For more information or questions, contact coach Melanie Lowry at Melanie.lowry@tamucc.edu for more information. You can register ahead of time or the day of! Registration packet available online. 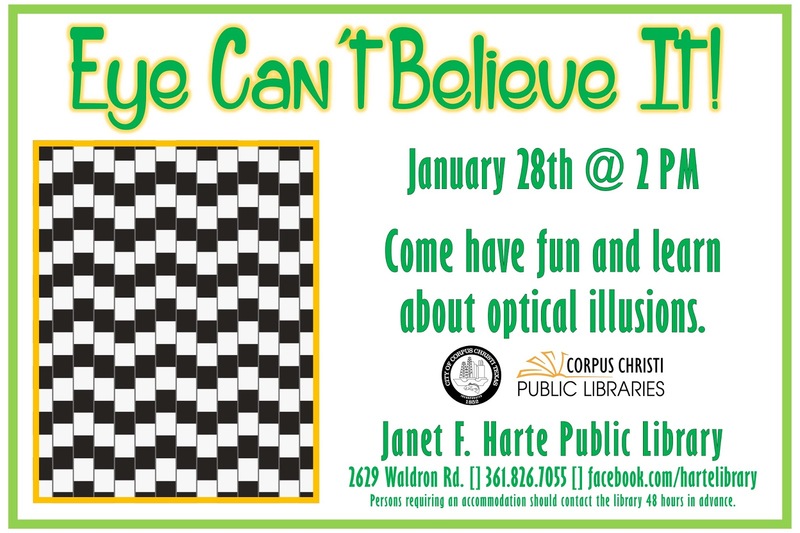 Come have fun and learn (at the same time) while exploring several optical illusions! 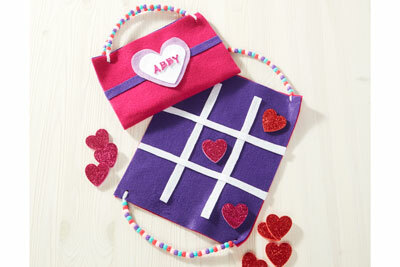 Also make a cool craft! Families are welcome. 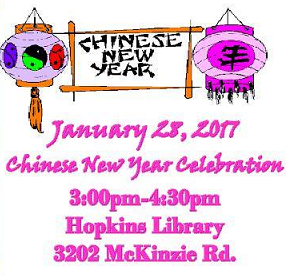 Come learn about China's New Years, with origami and other fun activities. 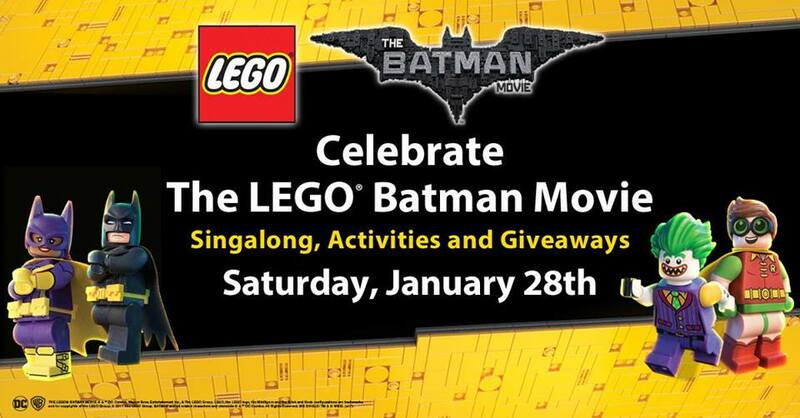 Kids will be called to put their detective skills to the test with themed building with LEGO bricks/blocks. At each event, kids can collect two limited-edition trading cards (while supplies last) featuring characters from the movie. 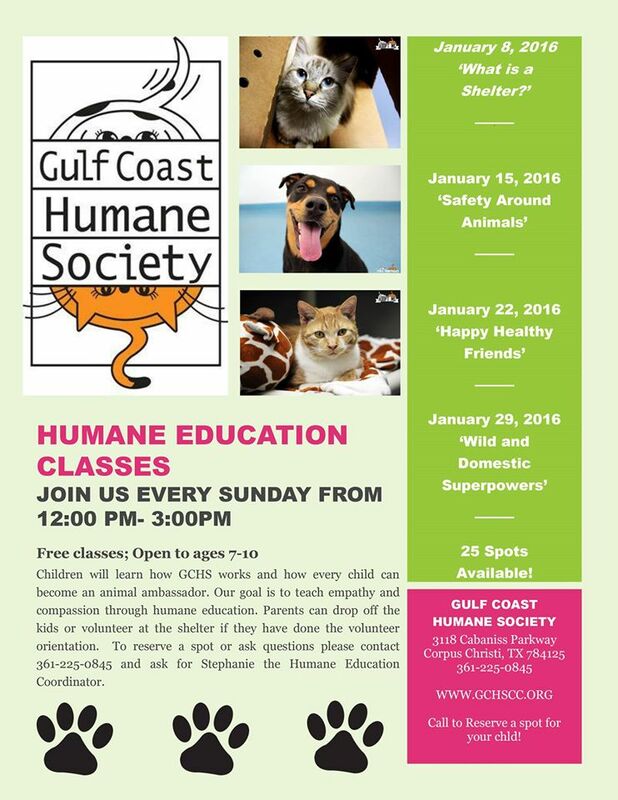 Children will learn what pets need in order maintain healthy happy lives. They will be able to identify the different responsibilities of having a pet and will be able to identify situations where a pet would benefit a family and situations where they would not. They will use compassion and empathy to relate their wants and need to those of a pet and family. 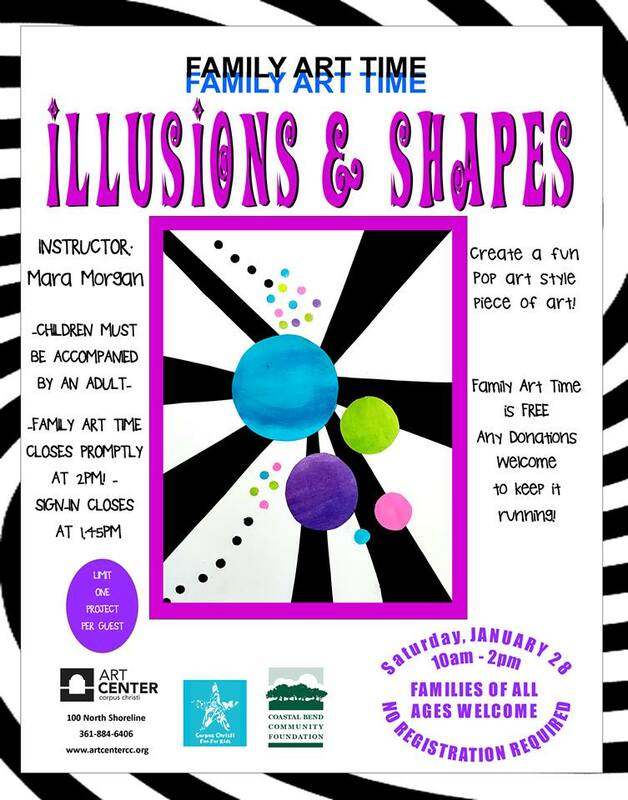 Classes are open to parents and children aged 7-10. Classes are free, but donations are appreciated! Cost: Classes are free, but donations are appreciated! There are limited spots available in each class, so be sure to reserve your spot by emailing Stephanie at scaldera@gchscc.org!